Hi there. 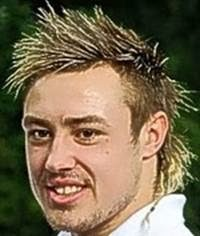 Jack Nowell’s hair here again. Have to say I really enjoyed my day out in Edinburgh. For once I was quite pleased to hide inside Jack’s horrible yellow scrumcap - otherwise I’d have ended up all wet and muddy and smelling of garlic and my glorious magnificence would have been utterly ruined. And no one wants that, do they, especially my legions of adoring fans. As things turned out I managed to stay dry and my radiant splendour was there for all to see at the end. Some say the crowd were cheering at the sight of the Calcutta Cup being raised. You and I know otherwise, don’t we?